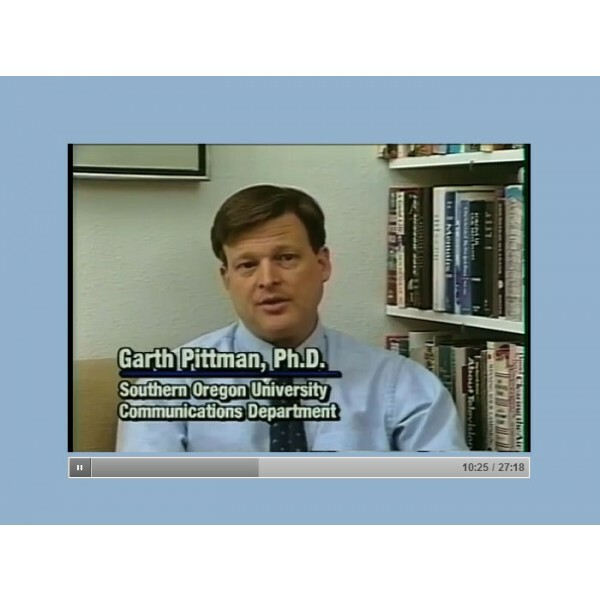 This 1 hour program teaches the importance of communication and defines aphasia and its effects. 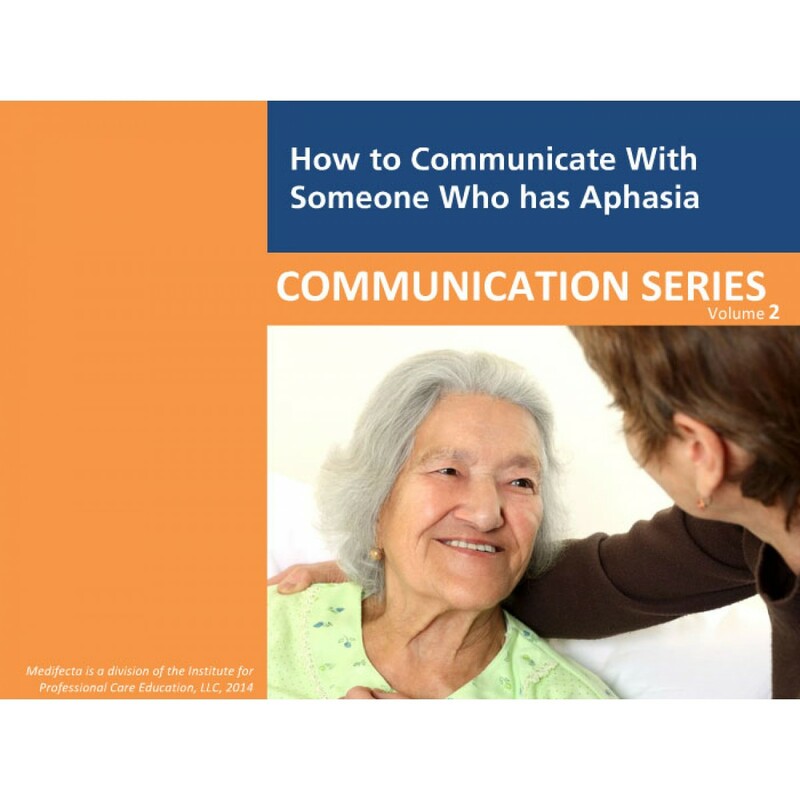 Learn how to communicate effectively with someone who has aphasia, using techniques developed by speech-language pathologists and others in the field of communication and speech disorders. 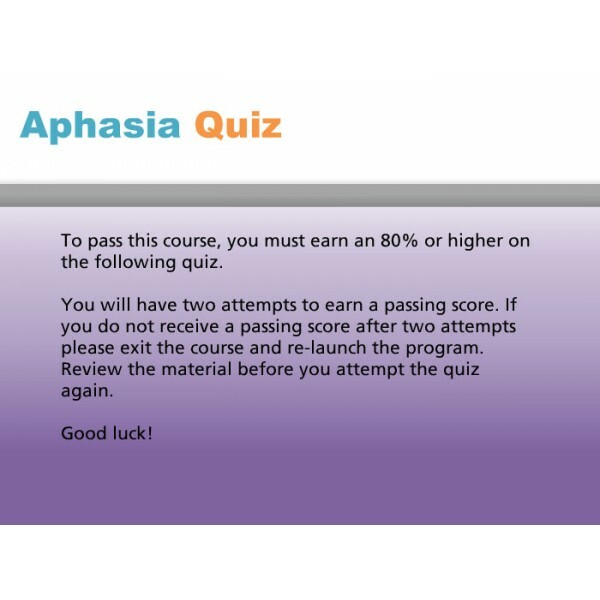 Upon completion of this training, the participant will understand: the importance of communication; causes of aphasia; physical and behavioral changes that may occur; techniques for better communication; modeling various forms of communication; barriers to successful communication with someone who has aphasia.